Our goal is for our children and youth to find joy in being together as they praise God, serve others, come to understand their faith, and share the bounty of living in Christ with one another. We offer a variety of programs for all ages, including Sunday School classes, Children’s worship service, Vacation Bible School, and Youth Group. ​a service dedicated to issues pertaining to their lives and their faith journey. Children Worship & Wonder is a wonderful program for children ages 4 through Third grade. Children hear Bible stories and learn about God while experiencing the presence of God. Stories are told in a sensorimotor style which allows the children to enter the stories and form responses out of their own life experiences. Children also learn the meaning of church traditions, and the children have the opportunity to participate in worship practices. Children begin worship with their families in the sanctuary. Following the Children’s Message, the children are escorted to a special children’s room on the upper level for Children Worship & Wonder. This program has proven to be an effective way to teach children about God as the children are completely engaged in the process. We are always looking for adults to help out with the program. If you would like to become a Greeter or a Storyteller, please contact Linda Presley. We hope you will encourage your children be a part of this wonderful and special program! Loving childcare and instruction for birth through age 4. Nursery is available from 8:30 a.m. through the end of the 2nd service, so that moms and dads can attend and/or serve in the service of their choice, as well as attend an adult Sunday school class. Children’s service for older children, ages 9 through 12. Available at both services the 2nd Sunday of each month. Youth are released to Journey Worship after the children’s message. Children return to the sanctuary to participate in communion. Sunday school classes for children ages 5–12. 1st and 3rd Sunday evenings from 5:30–7:00 p.m for ages 8 years to 18. 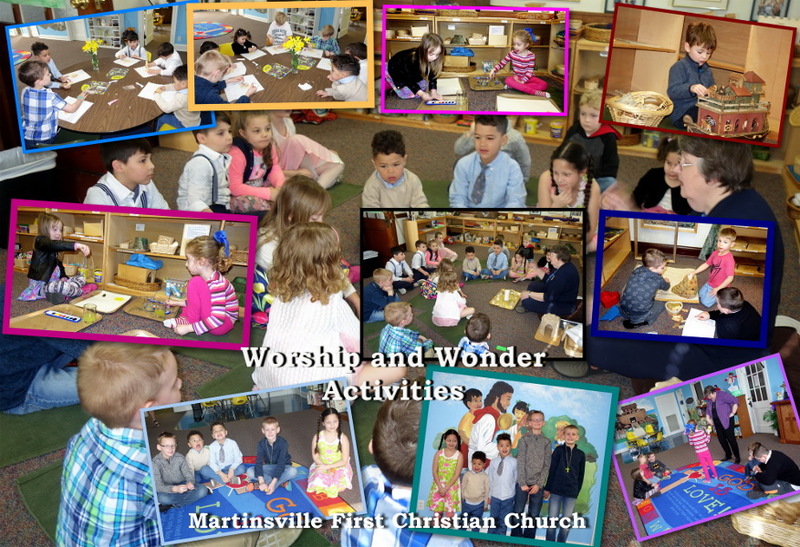 Little Disciples ages 4 to 7 years meet the 2nd Sunday 5:30 – 7:00 pm. Special activities are planned through out the year.